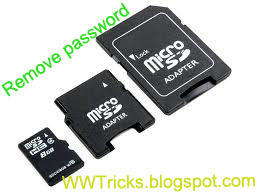 In this post I am telling you that how you can remove a password from micro sd memory card? Some times people apply a password to memory card to protect the data from others, But some times they forgot the password and they don't know what was the password was given by him? What to do now to find this password? So today i am going to discuss, how to find the forgotten password. Their are two methods to find/remove the desire password. *In the first method as given below will require a software,"FExplorer". *In the second method there will no need any software to install, but you will lost your data to recover your password trough this method. (i)As you know, to recover your memory card password you need a software "Fexplorer" so download this software and install this in any symbian mobile phone. *You can search this software on google and you will find this and will download easily"
(iii) Send it to your pc directly and open it in notepad or rename the file. (iv) At the end of the file you will find your desire password. After going to mmcstore press 3. This method is very easy. just put your memory card in Nokia 6120c or any Qmobile and goto gallery and format memory card. if the phone asked for password here then give password as 0000 and click format. After formating memory card open memory card now your phone will not asking for password!!! how to recover memory card data on nokia x2-02 if password is forgotten?? I too need hw 2 recover nokia x2-00, memory card password..
how to recover forgotten password .. that dont need to format ??? How to press 0 because i'm using nokia 5233 and which it's not possible in to do so. Format the card using this software..
2. Download any card recovery software to restore ur card data. I glad to see you here 'Shakeel' bhai, keep commenting. Useful post for those who are looking for the below queries. Thanks a lot to the admin for sharing such useful tutorials!!! I have forgotten my SDHC memory card unlock password also I do not have the MMCSTORE file as I had formatted my handset sometime back. I am using Nokia E5. I am able to access the Card on E5 but not on any other device. I have even formatted the memory card. How do I unlock the memory card ?